Join your child for an engaging and educational experience with families in your community. With monthly themes, your child will enjoy story time, creative arts, and free play. Babies through preschool aged children and their caregivers are welcome. 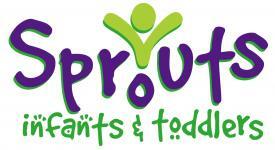 The Sprouts program is off for the summer. Check back in August for information about the program in the fall. Please contact Melissa Walls at 561-395-1244 ext. 143 for more information. Posted in Sprouts - "Mommy & Me"